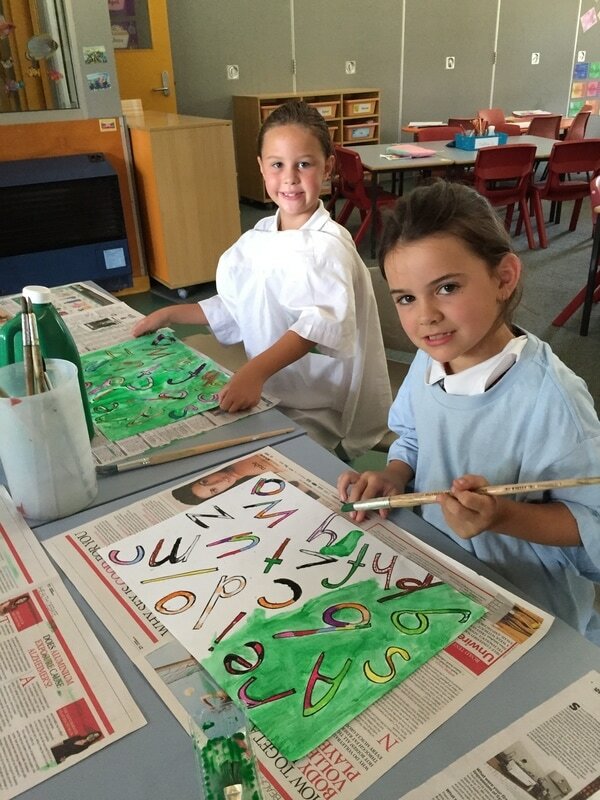 Isla and Demi use the resistance wash painting technique to create a decorative cover for their writing books. 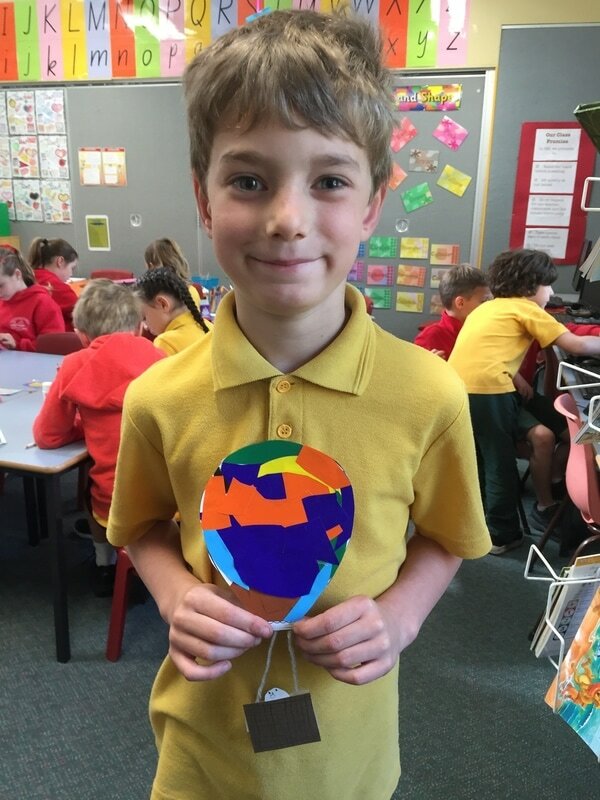 Oscar holds up his meteor piece of art, ready to display in our classroom. 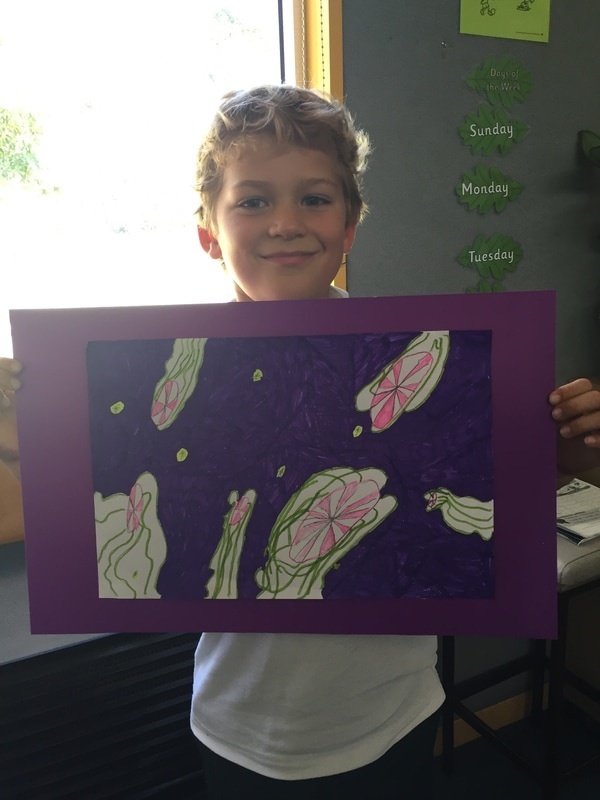 See how carefully he has used a purple texta to fill in the spaces between each meteor. He has drawn the meteor tails with the aim of showing movement. 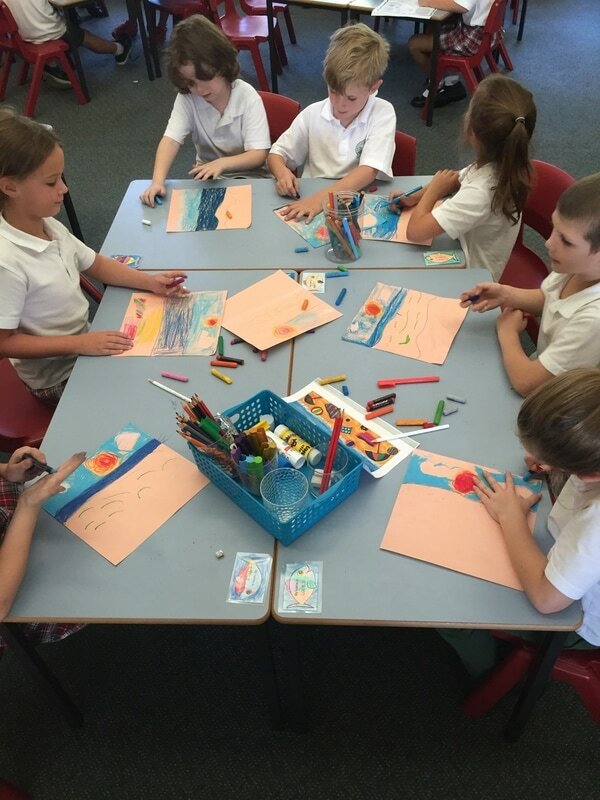 2M are currently creating a beach scene including a sky horizon, ocean, sand and beach gear in the foreground such as umbrellas, towels and beach balls. 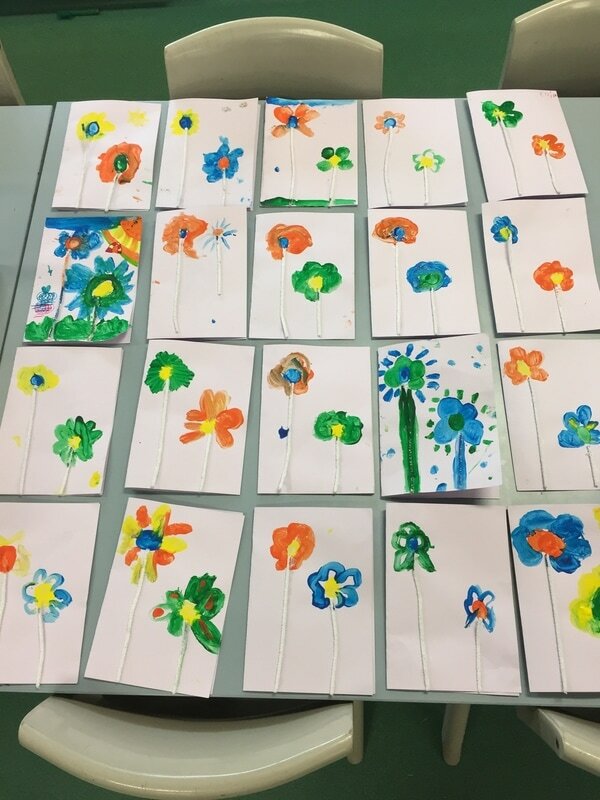 Watch this space for a completed piece! 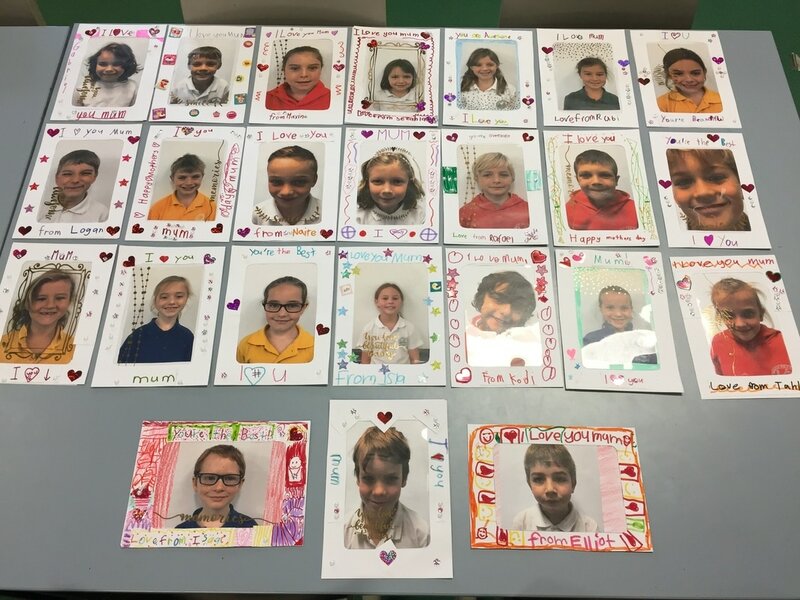 Beautiful Mother's Day Cards and Photo Frames, lovingly created by 2M for some very special mothers!